High Frequency 3 GHz F-81 Dual Coaxial Ivory Wall Plate. Terminates cable hookups at 75 ohm wall connection. Remove old receptacle from wall box. Connect first Coax Cable from Antenna to back of plate. Connect second Coax Cable to back of plate. 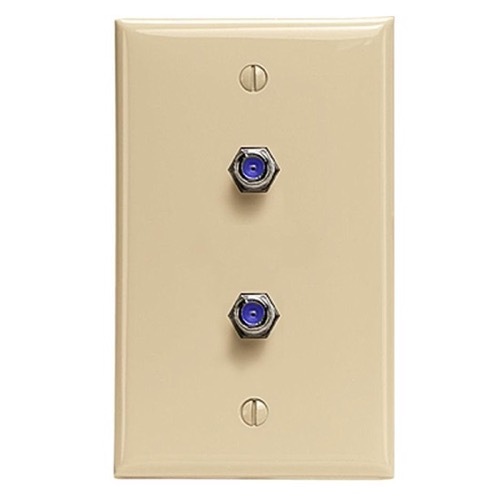 Replace duplex wall plate to wall box using screws.